Prevent an expensive diesel particulate filter replacement and related vehicle failure! You certainly would not like to hear your workshop manager say “The diesel particulate filter is full, you have to buy a new one". For a new diesel particulate filter (DPF) you have to invest an average of € 1,400, including installation. A DPF only has a limited capacity to store soot particles. At a certain amount of soot, it must be burned to CO2 and ash in a regeneration process. If the soot cannot be decomposed in the DPF, a corresponding ash formation will automatically result. The DPF is clogged by ash, it can no longer work, and a costly replacement in the workshop lies ahead. For vehicles that are predominantly driven in short-haul operation (stop and go), i.e. less than 20 km, service life of the DPF is significantly reduced. In short distance operation, the diesel particulate filter cannot reach the required operating temperature for the regeneration process. 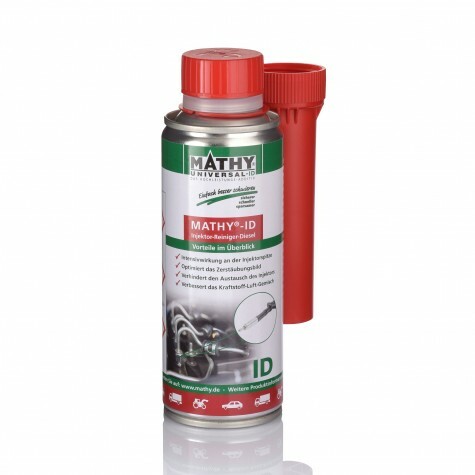 This is exactly where MATHY-DPF comes into effect, because the necessary combustion temperature for the soot in the DPF is lowered and the regeneration process can take place at lower operating temperatures. Service life of the DPF is extended. The malfunction indicator lamp in the dashboard is already lit. 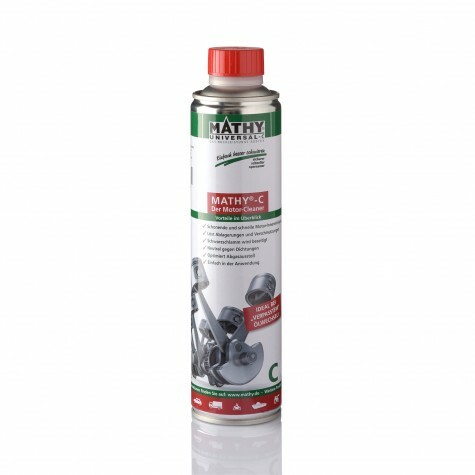 The contents of a can of MATHY-DPF (300 ml) is sufficient for up to 80 l diesel fuel. Prior to refueling, simply add the contents of one can (300 ml) to the diesel fuel. 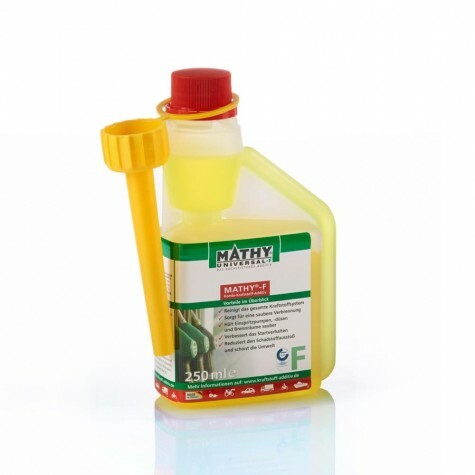 Suitable for summer and winter diesel, modern common rail (CDI) and pump injector diesel engines (TDI). 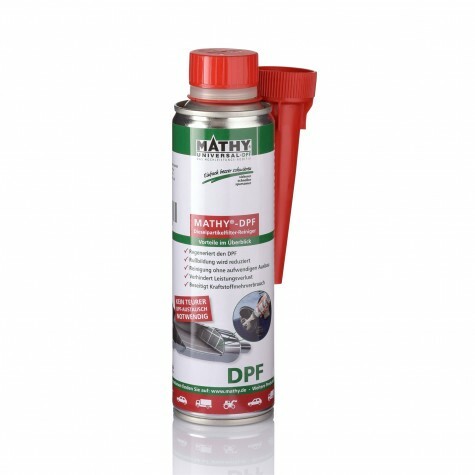 For vehicles with a mileage below 50,000 km, we recommend regular use of MATHY-DPF. The application should be made every 5.000 km for frequent short trips (less than 20 km) and at least every 10.000 km for frequent long-distance journeys. Note: The amount of fuel in the tank should be at least 10 liters. 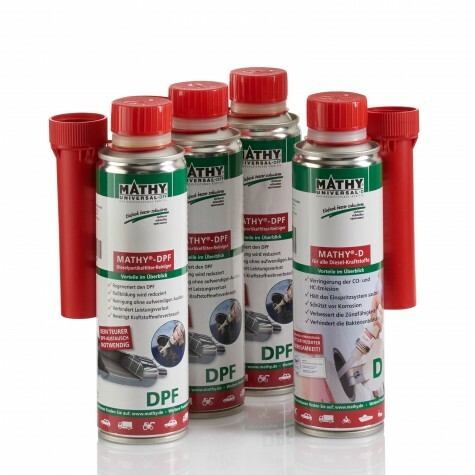 For vehicles with a milage over 50,000 km we recommend the MATHY-DPF Treatment first. Then, for frequent short trips (less than 20 km), the application should be repeated every 5,000 km; for frequent long-distance journeys the application should be repeated no later than every 10,000 km. Simple diesel and DPF system cleaning, without a workshop visit! 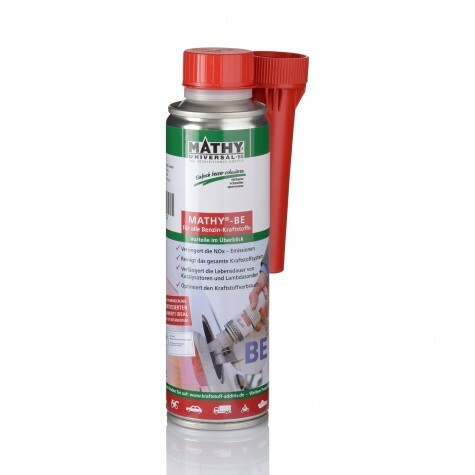 The system treatment consists of one can (200 ml) MATHY-D (diesel system cleaner) and three cans (300 ml each) MATHY-DPF (diesel particulate filter cleaner).